Youtuber Qaadir posted a video from the heart a few hours ago. Peep it after the jump. 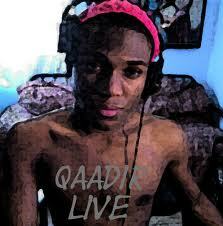 I admire people like Qaadir who is living his truth everyday. He calls it like he sees it, and articulates in a way that commands your full attention. So Qaadir know that your impact is worldwide, and truly an individual whose gift of anecdotal entertainment brings joy to the lives of many.